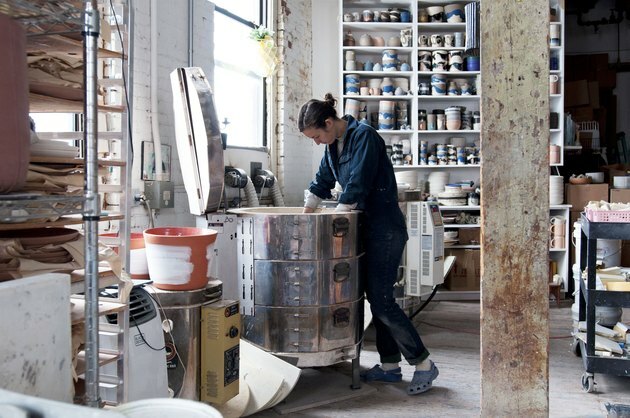 For the first few years after launching her ceramics business, Manhattan native Helen Levi worked out of a shared 200-square-foot studio — tiny even by New York standards. 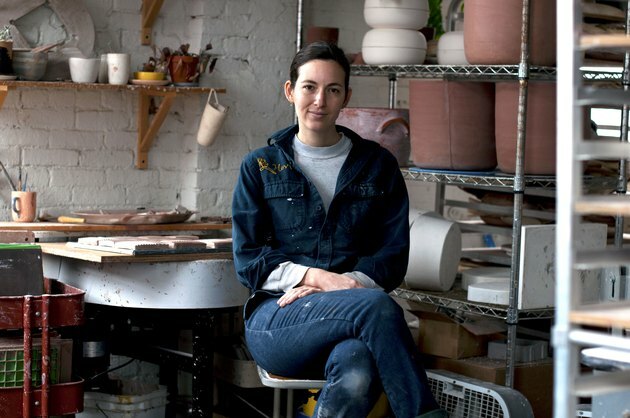 It eventually became apparent that in order to grow her business, she was going to need more space than her Sunset Park, Brooklyn, studio offered. 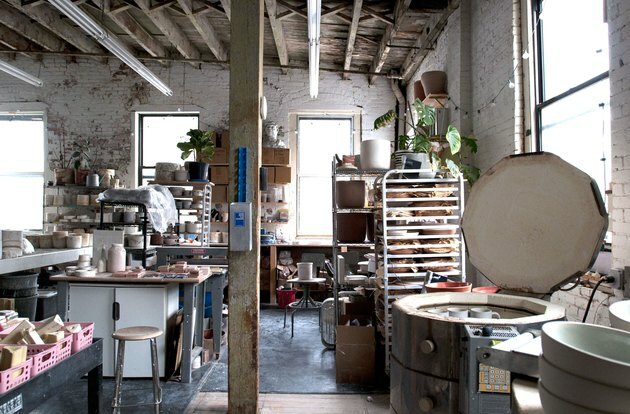 Levi found a raw space in Red Hook, a Brooklyn neighborhood, that was 1,000 square feet, so she did what anyone would do when they have the chance to have that much room in New York City: She immediately signed on the dotted line. "I jumped on it pretty quickly because I know how hard it is to find space in New York City," she says. Once the lease-signing afterglow had worn off, she realized the space was not as perfect as she thought. 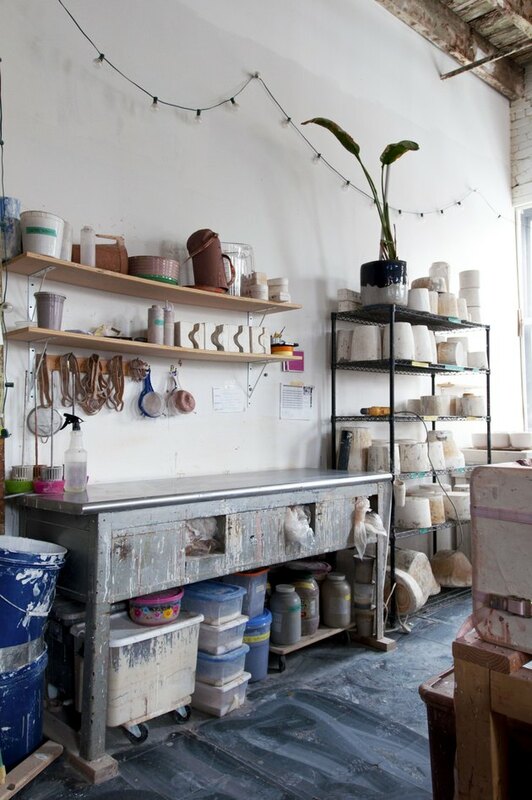 "I glossed over some important details that are not ideal for ceramics, like that there's no elevator and no sink." But while the studio didn't quite have it all, its size made up for any shortcomings. 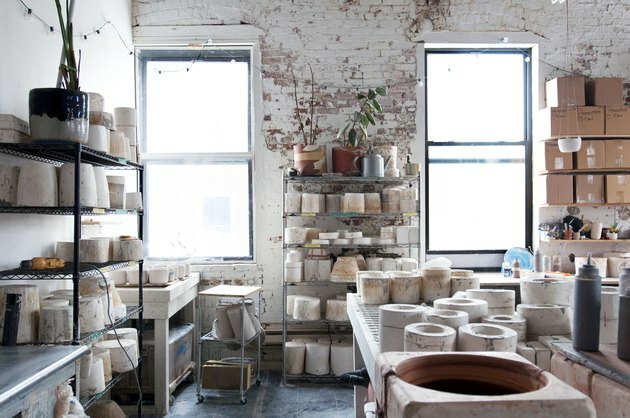 "​I knew that having more space would help my business, but I didn't realize just how constrained production was in my last space," she explains. "When I first moved, I had the same assistant and myself working the same amount of hours, but we were able to create so many more pieces because there was just room for everything, and room for both of our bodies!" She appreciated the raw quality of the space and didn't feel the need make any major changes — which is fortunate, since she was renting and couldn't make huge modifications anyway. The one thing she did want to fix was the floors. "They're beautiful old wood, but super gappy and impossible to mop, which is a big problem with my medium," she says. "So I bought 4-foot-by-8-foot sheets of thin masonite, and laid peel and stick vinyl tiles on top." The solution is much easier to clean and easily removable when she moves out. "When I first moved in, I just made small sections of flooring where I thought we'd make the most mess, but by the time we rearranged everything a year later, I had realized that we make a mess everywhere, so now almost half of the whole space has tile." 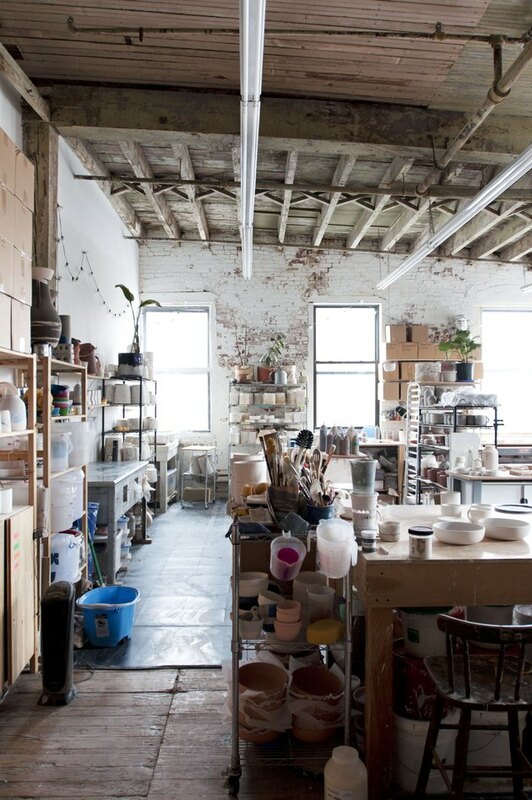 Levi designed the Red Hook studio for maximum productivity. "The focus of this space is functionality," she says. "I worked in it for almost a year and then rearranged everything — it was like moving again — once I had gotten a better idea of what worked and what didn't for production." She also turned to her sister, who is an architect, for help in determining the best layout. "One thing she helped me realize was that putting furniture perpendicular to walls instead of directionally can help it feel bigger," she says. The kilns were placed near the windows where they can be easily vented. 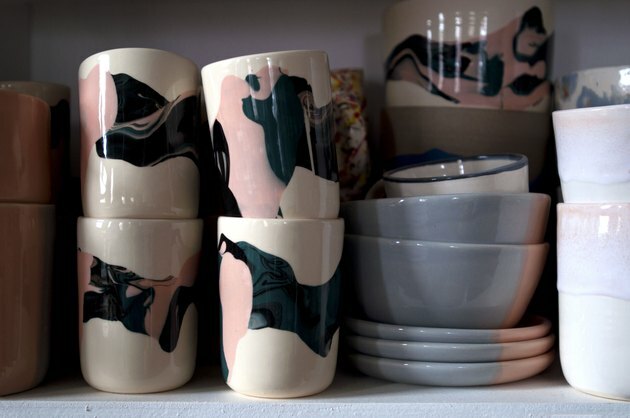 Levi graduated with a degree in photography, but found herself still drawn to ceramics, which she had done as a child and even taught on and off. 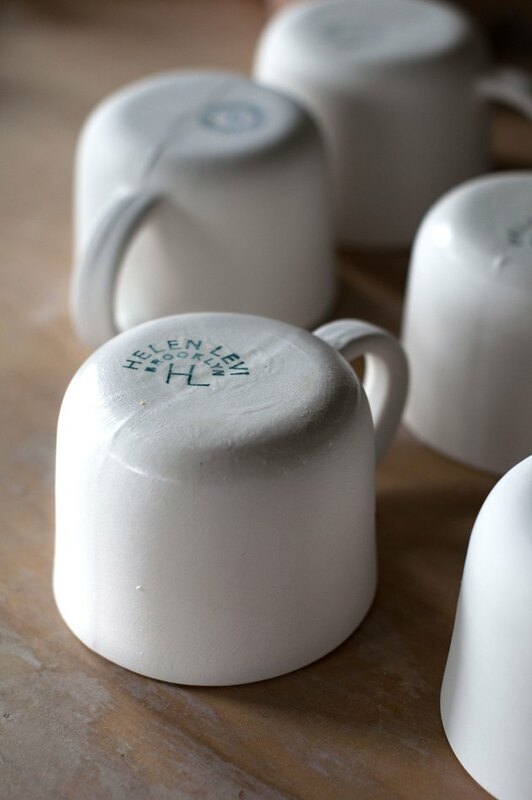 She received her first order from Steven Alan, founder of the eponymous New York shop, and her business was born. Her pieces blend function and artistry. The shapes are simple, but the decoration is anything but basic. 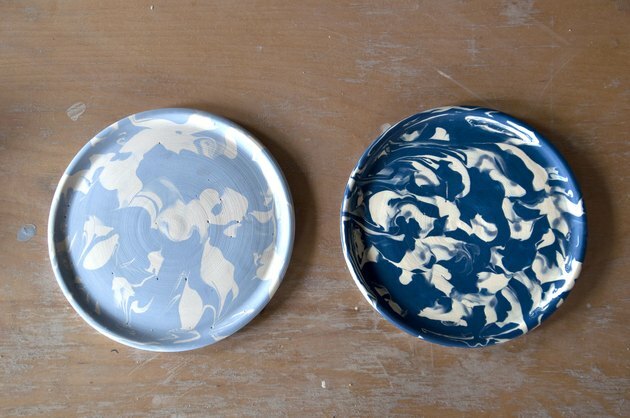 Levi decorates the pieces with colorful glazes, often artfully adding a marbleized effect — one of her signature motifs — or Jackson Pollock-esque splatters. 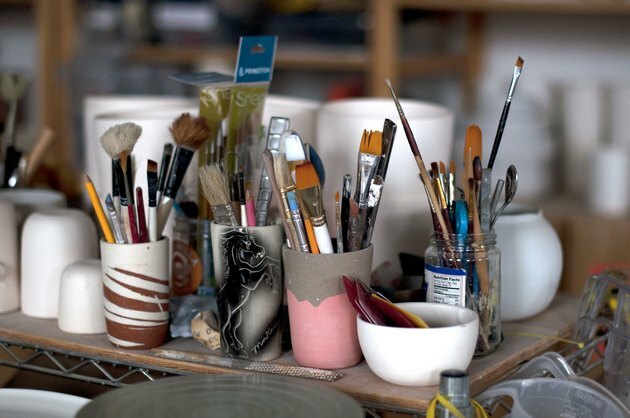 The studio is filled with natural light. "The best thing about this space is the windows, and the general spaciousness," she says. "The high ceilings are also really beautiful, although one day I'd love to have a space that is easier to heat and cool!" 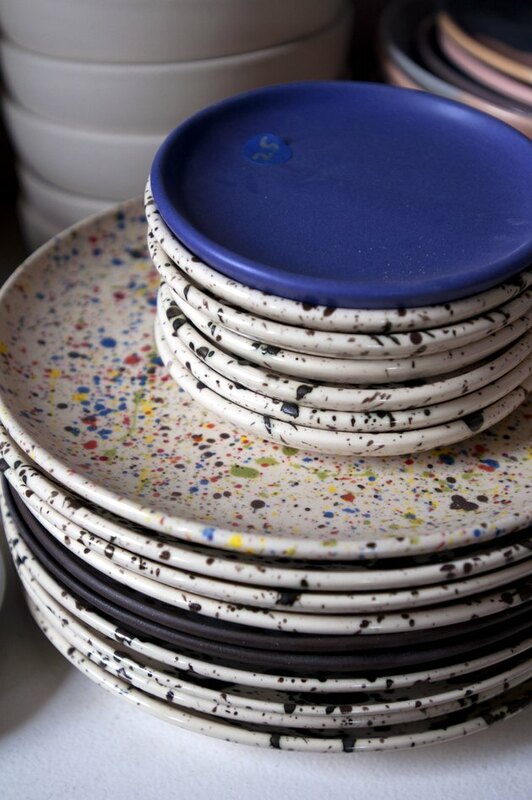 Each piece is stamped with Levi's logo before going in the kiln. 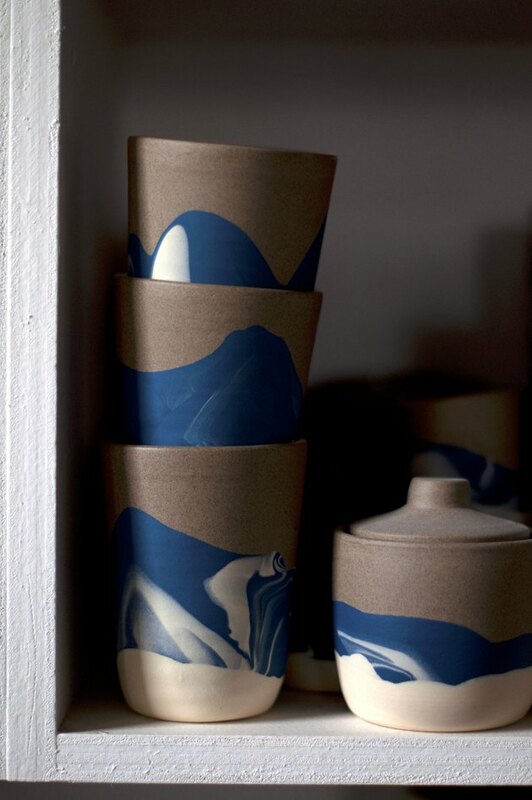 Levi finds inspiration in nature and uses hues that evoke the sunrise and the sea. 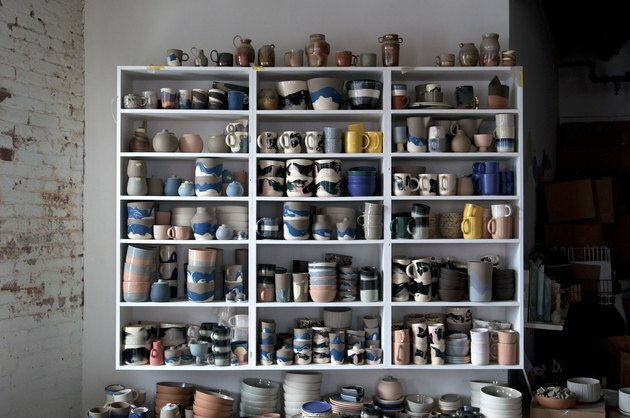 Shelves contain finished pieces waiting for their final homes. Levi's larger studio allowed her to have more pieces in stock, instead of making things to order. 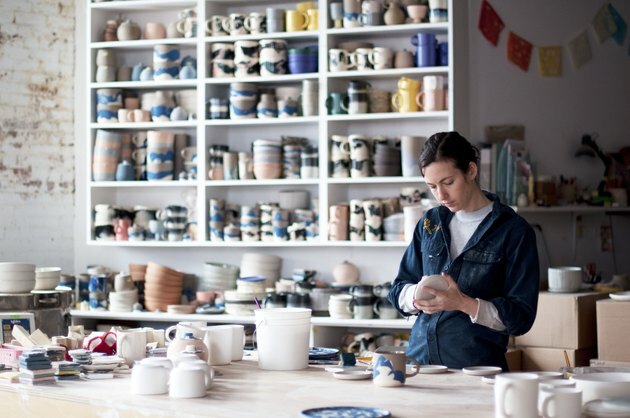 She sells her wares on her website, on Food52, and is stocked in shops including Homecoming in Brooklyn and Individual Medley Store in Los Angeles.